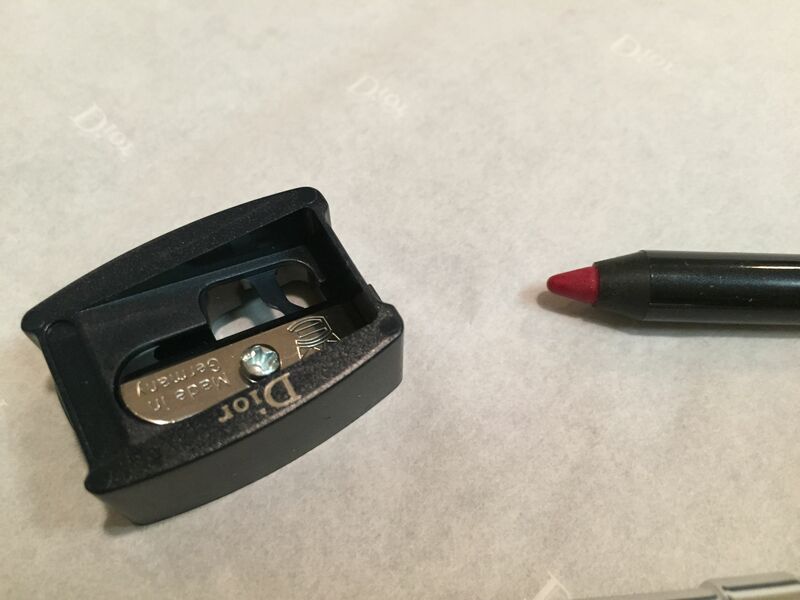 The lip liner comes with a sharpener. 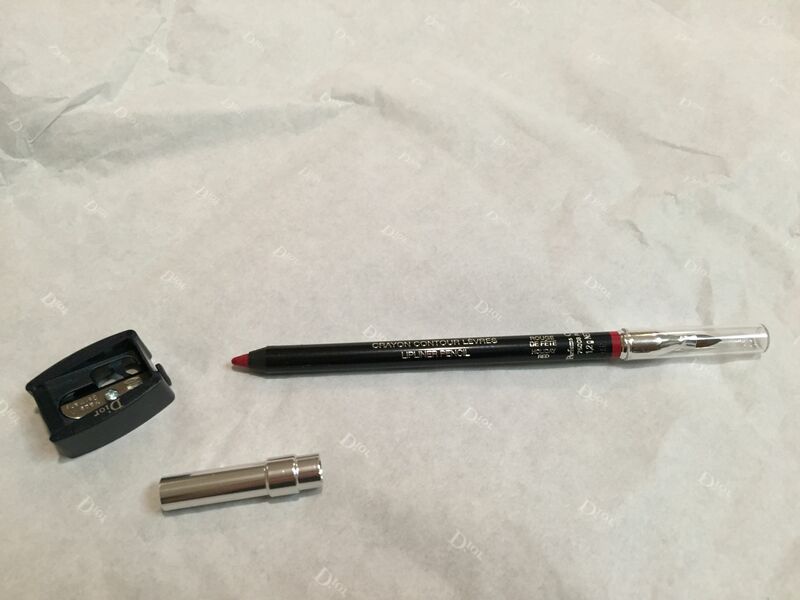 Holiday Red lip liner — the color is nice and festive. Nice red with dark rose undertone. 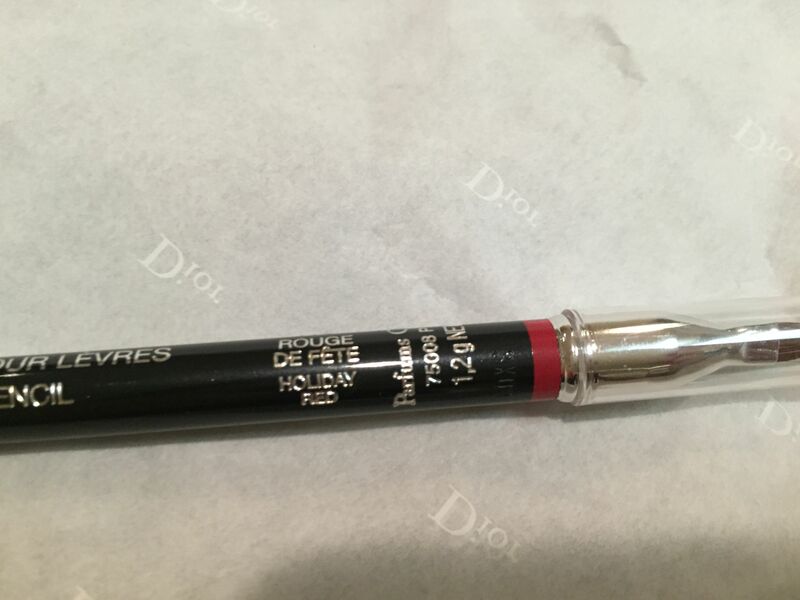 I got this lip liner as a complement to Dior 743 Rouge Zinnia lipstick. The colors matched perfectly, and although I am not a big fan of lip liners (keep forgetting to use them) I thought that such a bright and bold color of lipstick had to be accompanied with a matching lip liner. 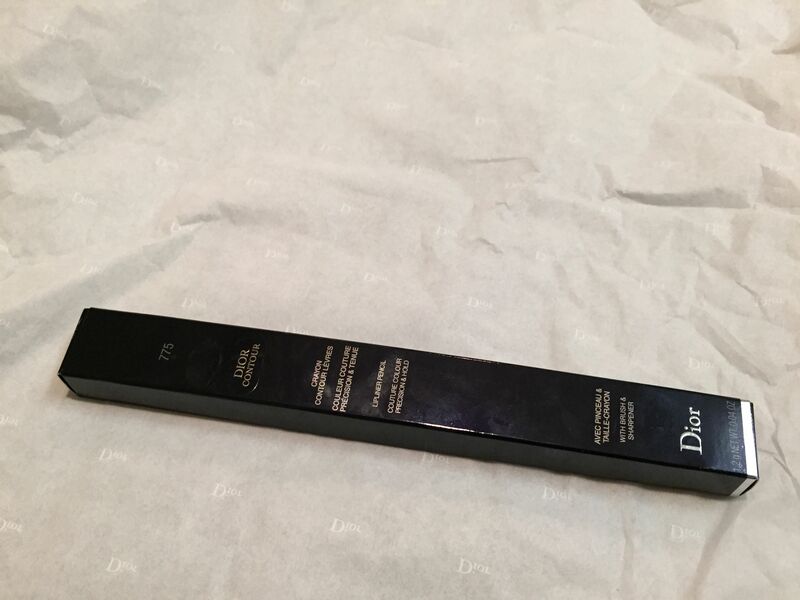 ‘Rouge Contour’ lip liner pencils are a line of rich-colored lip liners by Dior. Each costs $30, which is quite pricey in my opinion. 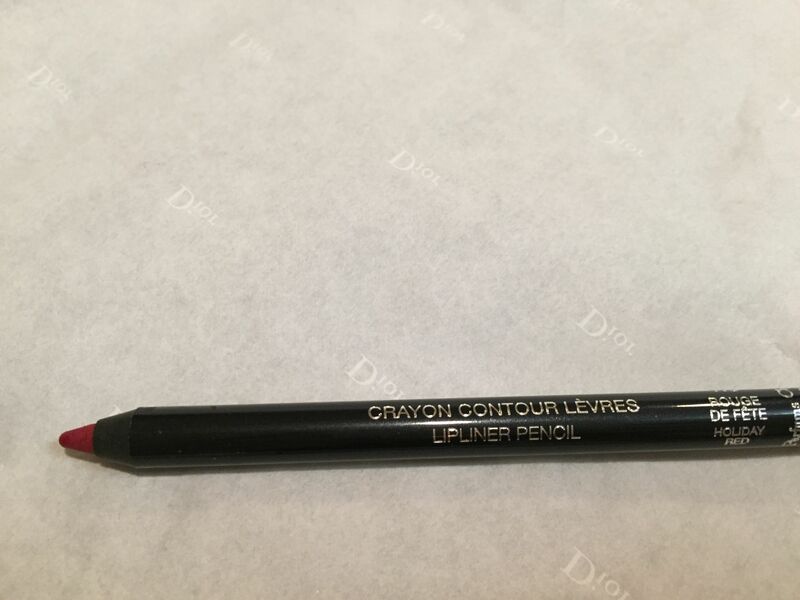 This lip liner comes as a pencil and has a brush on the other side. There is also a complimentary sharpener, which a nice touch. I remember how upset I was when I bought Urban Decay lip pencil without realizing that I had to buy their sharpener separately. The Holiday Red color is a rich red with a dark rose undertone. It looks beautiful and elegant. It glides on very easily and application doesn’t require a lot of expertise. As a lip liner it is not drying. I know that some ladies use lip liners as lipsticks but I never do it so I wouldn’t know how drying it would be if you apply it all over your lips. The lip liner has a good staying power and sort of melts in with a lipstick. When it starts fading (along with a lipstick), it fades evenly, so you won’t have a situation when you have no lipstick but still have a weird red contour on your lips. I like the brush – it’s soft and easy to use. I use it not just for the lip liner but also for my lipstick. The packaging is nice – it feels quality and expensive. It’s truly a pleasure to use. I am pretty happy with my purchase. Although Rouge Contour is expensive, I think that it will serve me for a long time. Also, I simply enjoy using it.